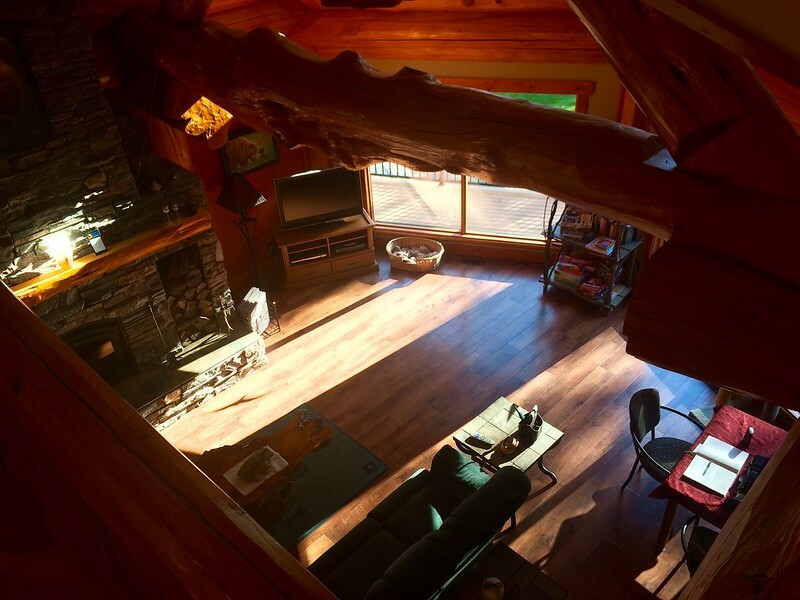 Nestled in the woods of Alberta’s Water Valley, Back to Nature Retreat is both a labour of love and a haven for rest. “Whatever you do, don’t try to find us on Google Maps,” were the instructions Stan and Keltie Masters passed on to Rebecca and I prior to our visit. Found at the end of a series of twists and turns on country roads, Back to Nature Retreat reaches beyond the beaten path and creates a new one of its own. 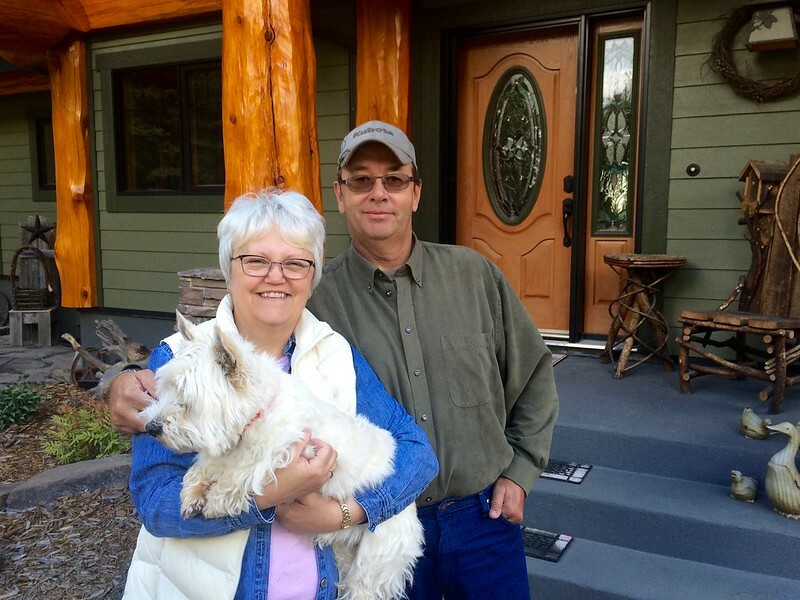 Rebecca and I were recently invited to stay with the Masters in their abode-turned-B&B, a stunning homestead nestled amongst the trees of Water Valley. Stan and Keltie turned to wildlife and landscape photography as a hobby in recent years, and their art soon became a passion for both of them. Canvases of their strikingly emotive photographs grace the walls inside Back to Nature Retreat, showcasing the value the Masters place on their immediate environment. It was this passion that spurred them on to design a sanctuary from the hustle and bustle of everyday life. Keltie believes that so many people are nature-deprived to the point that there is a near desperation to reconnect with our roots. It had long been Stan and Keltie’s dream to build such a home, and events lined up a few years ago in a way they’ll tell you was serendipitous. They knew that eventually opening a bed-and-breakfast was inevitable, but I don’t think either of them could have expected how spectacularly their dreams would be realized. “We’re very blessed to be in such a beautiful area. It really opens up your eyes,” Keltie enthused. 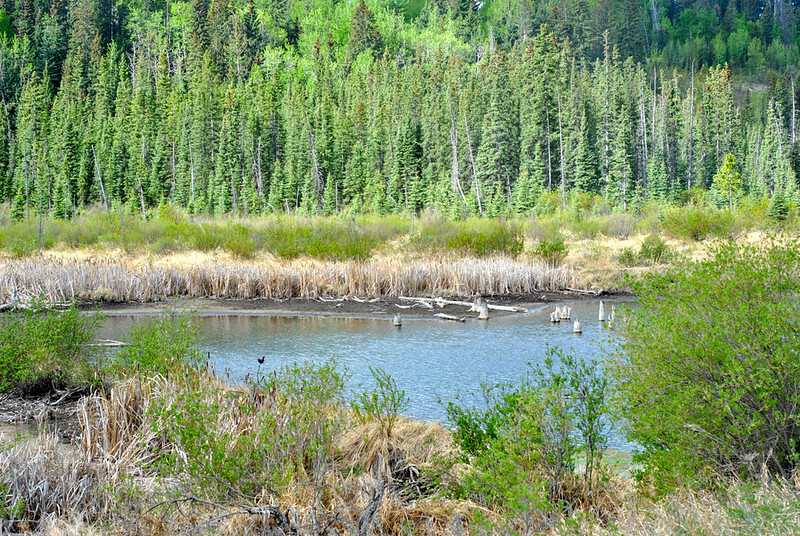 Located about 60 minutes northwest of Calgary, the five-acre retreat is true to its name. 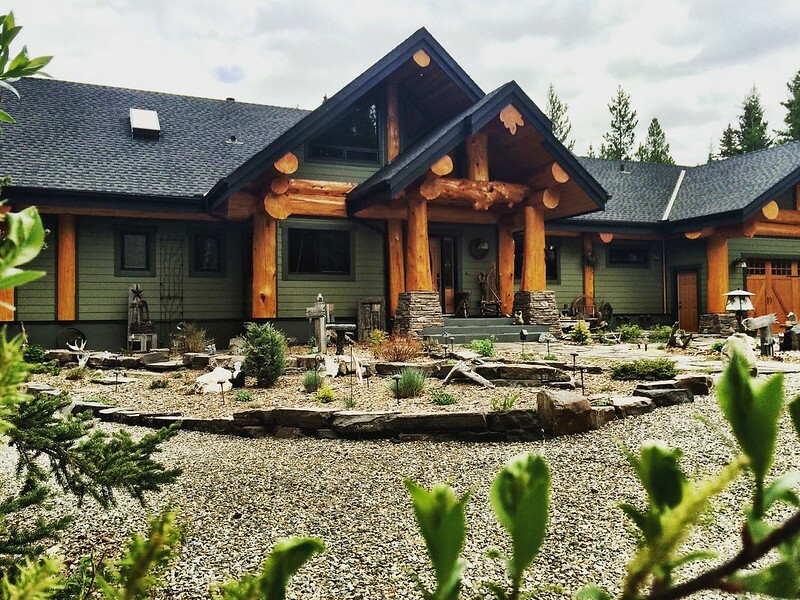 The Masters’ home was built by Pioneer Log Homes, known more widely as the team from HGTV’s Timber Kings. Opened in January 2016, Back to Nature Retreat is an ideal place to check your electronic devices at the door and let yourself unwind. 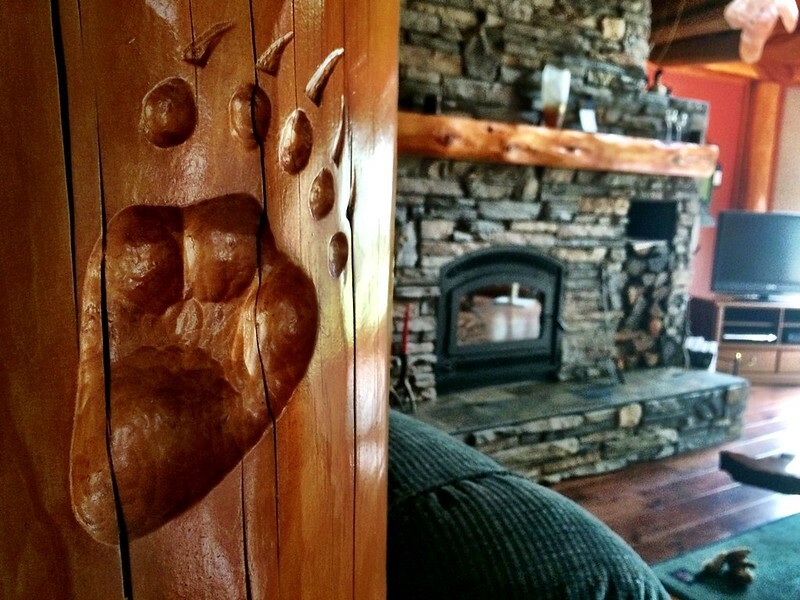 The home is three storeys high, anchored by rough-hewn beams with gnarled knots, posts carved with grizzly bear paw prints, a stone fireplace, and floor-to-ceiling windows allowing glimpses of the abundant wildlife that call Water Valley home. Rebecca and I were guests of the Wildflower Suite, outfitted with a king-sized bed (split into two twin beds for us), a gas fireplace, luxurious soaker tub, step-in shower, and double doors leading to the deck and the retreat’s hot tub. Back to Nature Retreat is the kind of place I’d refer to as a “million-star resort.” Before settling in for the night, Rebecca and I soaked the day away under the expanse of the galaxy. Waking up in the Wildflower Suite was like something out of a dream. Sunlight streamed through the windows and, soon after waking, Keltie sweetly delivered coffee to our nightstands. 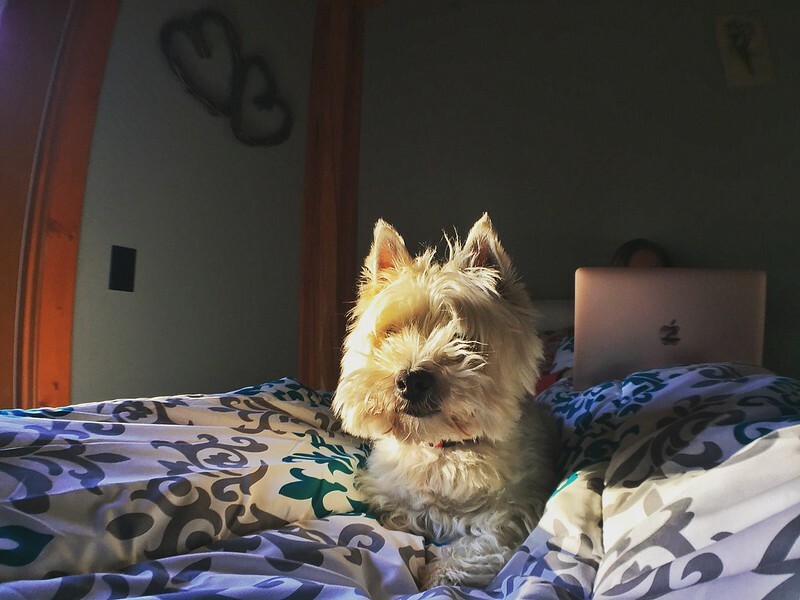 Back to Nature’s boss, a Westie Terrier known as McDuff, curled up on my legs as I worked from the comfort of the bed. 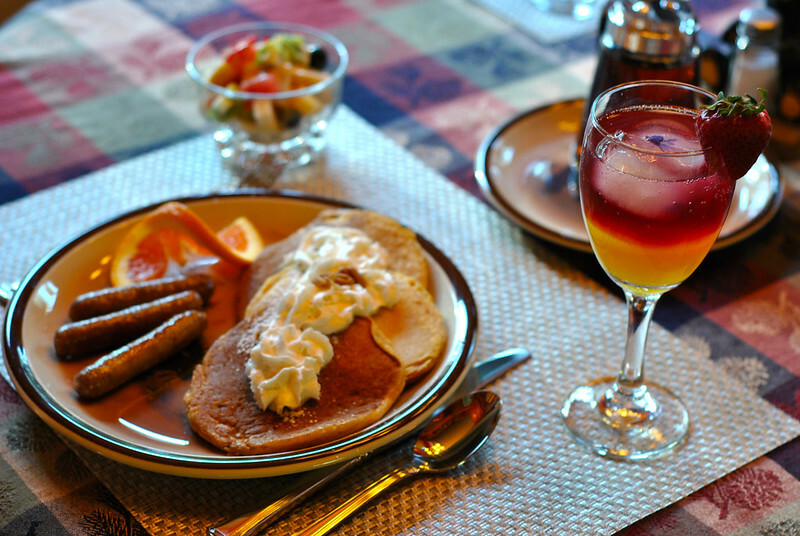 As soon as we were upright, a sumptuous breakfast was served in the Masters’ cozy kitchen: homemade pumpkin spice pancakes with whipped cream, sausages, fruit salad, and virgin orange juice cocktails. Situated perfectly for outdoor enthusiasts, half-way between Calgary and Banff, Back to Nature Retreat is far more than a bed-and-breakfast, and the Masters are widening the scope of what they offer. With accommodation for up to eight people and an ample workshop space, they also offer the home as a retreat centre. Scrapbooking, quilting, nature photography, and drumming workshops have been held at Back to Nature Retreat, and Stan and Keltie are eager to welcome groups who would like to use the space for more of these sorts of creative endeavours. I worked while McDuff laid on my legs. Photo by Rebecca Bollwitt. If you’re like me and prefer solo adventures, they also offer an abundance of activities for one or two people. Massage and spa services, fishing, yoga, archery, one-on-one photography lessons, and snowshoeing (in winter) are all options to while away your days at Back to Nature Retreat. The hardest part of a stay at Back to Nature Retreat is knowing that all good things must come to an end, and before we knew it, it was time to depart. Rebecca and I spent the rest of the day reflecting on how much we treasured our stay with Stan and Keltie. It felt more like we were their family – nieces maybe – as the Masters lovingly doted on us and made us feel truly at home. Back to Nature Retreat’s official website has recently launched, and you can also stay up-to-date on Twitter, Instagram, and Facebook. Stan and Keltie feature their photography on their Back to Nature Photo account on Instagram. Disclaimer: Our stay was generously provided by Travel Alberta and Back to Nature Retreat. I was not paid to write this post, and the story and opinions expressed are entirely my own.